In late November, kabuki actor Ebizo Ichikawa XI got in a scuffle that resulted in the 33-year-old being punched down a flight of stairs and getting his face smashed in. Now, he's killing time with his Nintendo DS. After drinking with colleagues at a gay bar in Tokyo, Ichikawa went to a member's-only karaoke club. A fight eventually erupted, and Ichikawa was punched repeatedly in the face, losing a front tooth, and the actor was also left with a broken cheekbone, a black eye as well as multiple bruises all over his body. His blood was found on the bar's walls and the staircase — from the 11th to the ground floor. According to reports, Ichikawa was continually attacked as he made his way down the staircase. At the time, Ichikawa said he was attacked by a "dark, foreign-looking man". Half-American, half-Japanese Rion Ito, 27, was arrested. 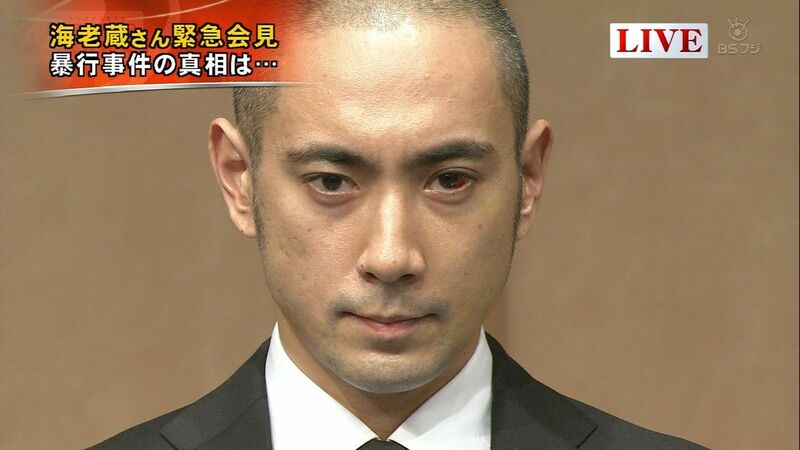 While Ichikawa said he was assaulted by several people, Ito said he alone attacked the actor, apparently because he didn't like Ichikawa's attitude. "I got furious at him and punched him at the bar," Ito told investigators. "I wasn't very drunk." Police began investigating whether Ichikawa provoked Ito. 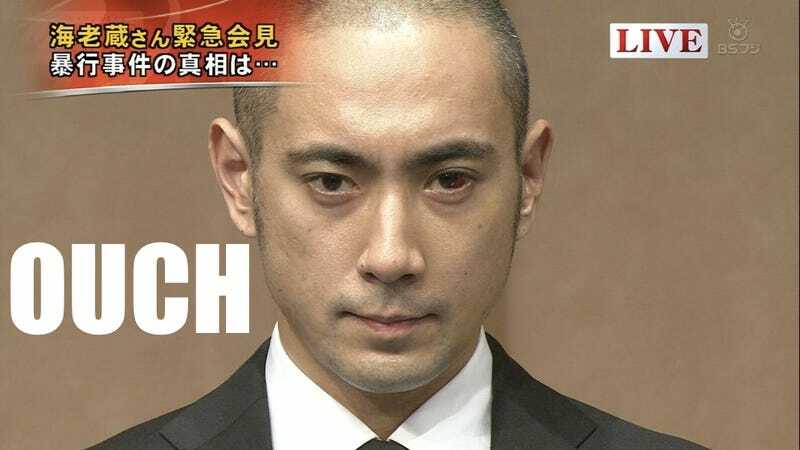 However, earlier this month, Ichikawa reached an out-of-court settlement with Ito — just as the kabuki actor was dropped by sponsors due to the fallout the incident caused. Apparently, Ichikawa now spends his days at home, playing his Nintendo DS for hours on end. But for Ichikawa, the fallout could be far more serious. His facial injuries could end his kabuki career as the face is key for kabuki. Performers spend their lives perfecting various facial expressions — expressions that could prove difficult after a broken cheekbone. Ichikawa is currently on indefinite hiatus from kabuki as he heals. Sources tells paper Nikkan Cyzo that when Ichikawa isn't playing his DS, he's supposedly online, looking at game walkthroughs. A source in the entertainment industry also confirm that Ichikawa is a big gamer, spending his time in the "green room" between shoots playing role-playing games. Kabuki theater is limited to bloodlines, and the actor comes from a long line of kabuki performers — and not video gamers. Ichikawa's family apparently harps on him that all his gaming will hinder his recovery. But apparently Ichikawa is, for once, finding himself with large amounts of free time that he can spend playing and playing and playing. Better than drinking and getting punched down the stairs.